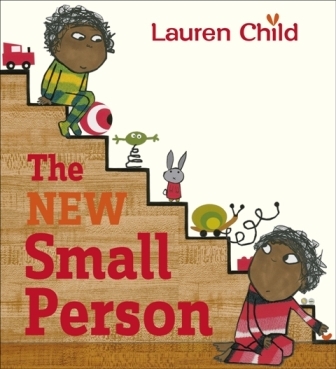 On Friday September 12th at 3:45pm, Lauren Child will be signing copies of her new picture book The New Small Person. This is her first picture book in some years, and this signing will be the only London signing for this title. Lauren will only be able to sign books purchased at the event, & a proportion of the purchase price will be donated to the library. To reserve your place for this signing, & to get a copy of the book, please contact Primrose Hill Books on 0207 586 2022. Alternatively, visit their website. A big thanks to Primrose Hill Books for organising this event! Knox Oil and Gas of Houston is far removed from the sleepy Scottish seaside village it wants to buy and replace with an oil refinery. So Knox sends its ace dealmaker (Peter Riegert) to negotiate. He finds cheerful future millionaires, awesome northern lights, a lusty innkeeper, a stubborn beachcomber and a mermaid with webbed toes. 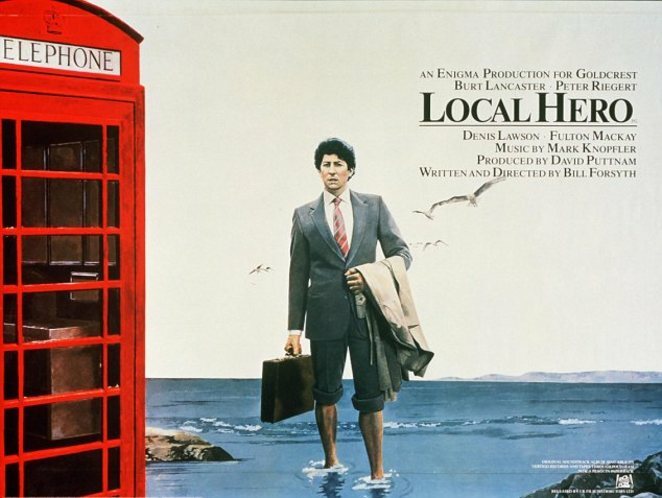 As the Scottish referendum looms, Bill Forsyth's enchanting 1980s comedy provides a delightful reminder of what’s at stake. The film starts at 7.45pm, with doors opening at 7.30pm. PHCL Film Show Presents Ace in the Hole-with an introduction by Guardian Journalist Jackie Ashley. 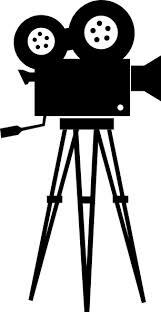 There will also be a showing of the short film Champagne Capitalist, by Tristan Martin & Faye Planer. Tickets go on sale on Friday 5th September. All the children who took part in the Summer Reading Challenge this year are invited to receive their certificates and medals at a special award ceremony on Friday 5thSeptember at 4:30 pm in the library. There will be drinks & snacks, as well as games for everyone to take part in. After the ceremony, we will be showing Flight of the Dragons - the last in our series of dragon themed films. 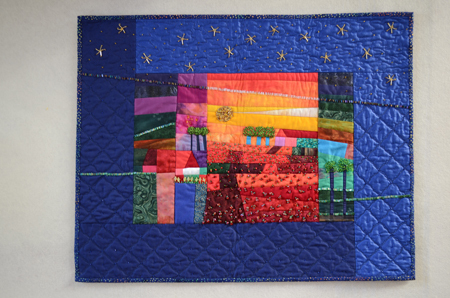 the traditional craft of Art Quilting. The talk is taking place in the library, and tickets cost £2 on the door. One of our volunteers has kindly offered to help out with our regular Homework Club. She is available to help children (over 5s) who would like extra support with their reading. 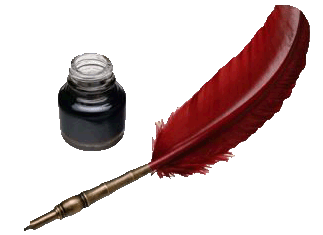 Homework Club takes place on Mondays & Fridays, between 4pm-6pm. If your child would like some extra help with their reading, please drop in. Help needed for Rhyme Time and Story Time! 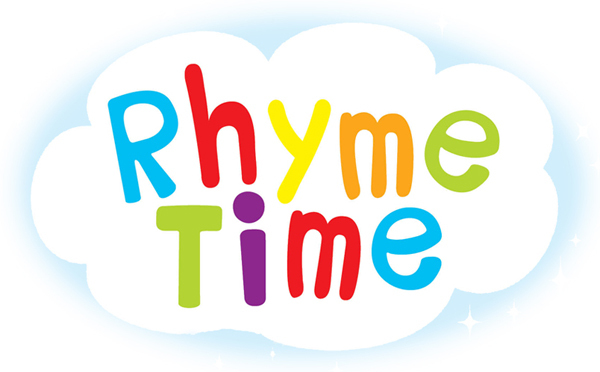 Do you regularly attend Rhyme Time on a Monday and/or Friday morning? Would you be interested in helping with the sessions? If the answers to the above questions are yes, then please get in touch! We would love to have a few volunteers who can help with Rhyme Time on a regular basis, starting in September. We are also looking for volunteers to assist with Story Time on Saturday afternoons at 2:30pm. If you are willing and able, please get in touch-send us an email, with your name and contact telephone number. As part of the project Yan Tan Tethera: songs of textile folk, the library has been playing host to one of a series of Graffiti Stitch Chairs. The Chair will be leaving the library on Monday 23rd September, to be reunited & exhibited at Cecil Sharp House on Thursday 25th September. There is still time for people to contribute and transform the chair before it leaves the library at the end of September. 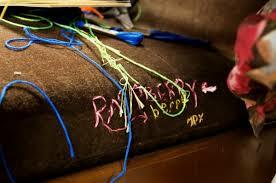 So pop into the library to stitch your favourite textile inspired song lyric onto the chair while you still can! The project is a partnership with the English Folk Dance and Song Society, curated by David Littler and is supported by the Arts Council England through the National Lottery. The September PHCL Book Club is taking place on Thursday 11th September at 6:45pm in the library. 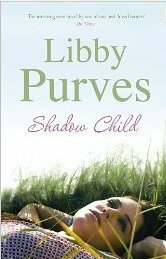 This month's book is Shadow Child, by Libby Purves. 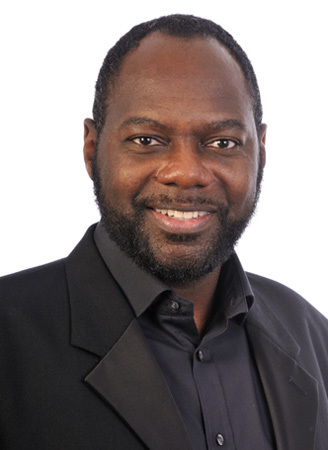 On Friday 26th September, Councillor Richard Cotton will be hosting a quiz night in the library. Supper will be provided, & drinks will be available at reasonable prices. There will also be a raffle, and the winning team will win a prize. Tickets go on sale on Wednesday September 10th, and cost £10 (includes supper). The proceeds will go to Primrose Hill Community library. The PHCA Annual General Meeting will take place on Thursday 2nd October 2014 at Primrose Hill Community Centre. 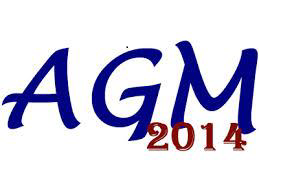 The proceedings start with drinks at 7pm followed at 7.30pm by the usual AGM formalities. At 8.30 pm, there will be a guest speaker. Names of nominees for the PHCA Management Committee will be on the Association’s notice boards, and elections will take place at the AGM. Library Chair Marijke Good and Library Treasurer Lucy Cottrell will be attending to answer any questions. So do please come and have a pleasant evening with your fellow members.